This week each pair of students will work with one spring onion, botanical name: Allium cepa . 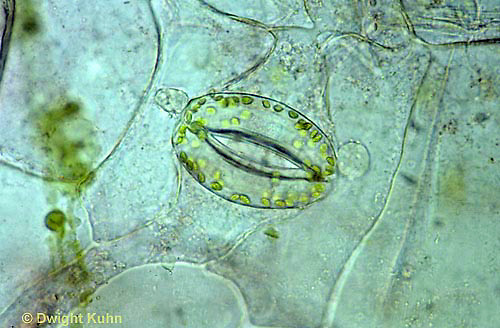 You will work from the visible anatomical scale, to the microscopic tissue scale and into the chemical molecular scale. You will learn the anatomy of the plant, its specialised cells and tissues and then test for the chemicals that are necessary for life. The room will be arranged in five island groups so three pairs of students will work collaboratively, sharing the manual tasks. Each student is responsible for following instructions, contributing to the tasks and recording their own observations and explanations in their Interactive Science Notebook. 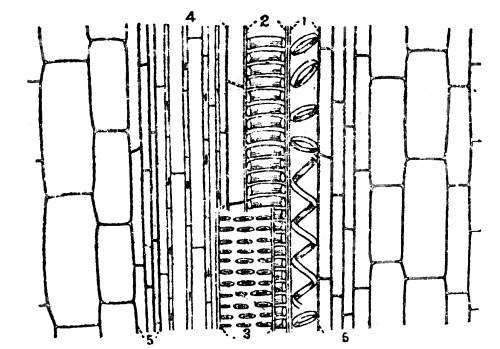 Botanical Drawing of a longitudinal section of a Spring Onion with main organs labelled. Explain the function of each of these organs in relation to the life process of photosynthesis. Explain the function of each of these organs in relation to the life process of respiration. 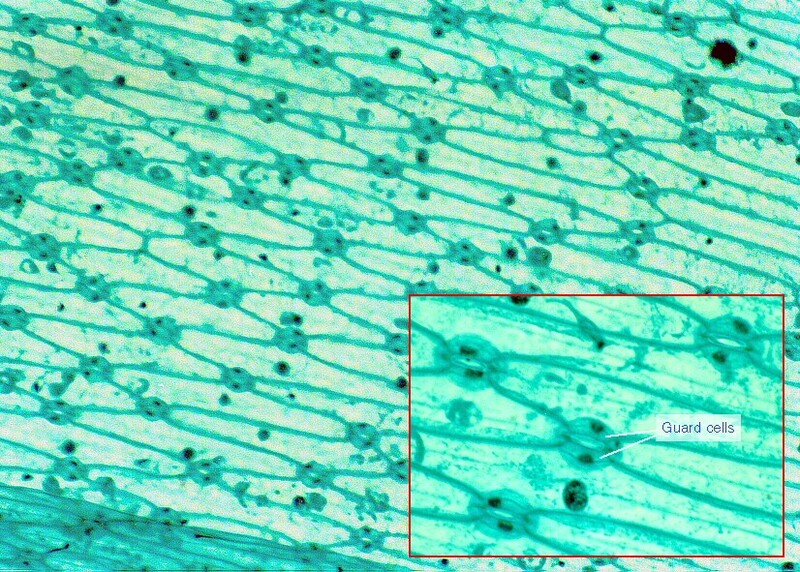 Review the structure and function of the compound light microscope. Recall the parts of the microscope. Describe how to calculate the total magnification. 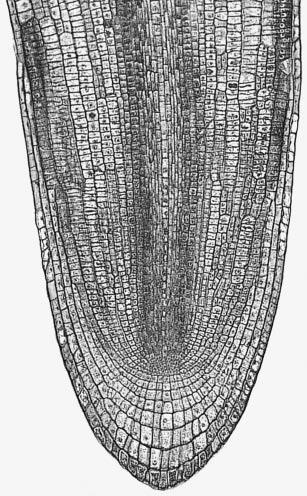 Make wet mounts of plant tissue, including root tips, epidermal leaf tissue and leaf base epidermis. Draw and label the specimens. Calculate the diameter of cells. Share your slides within your island group. 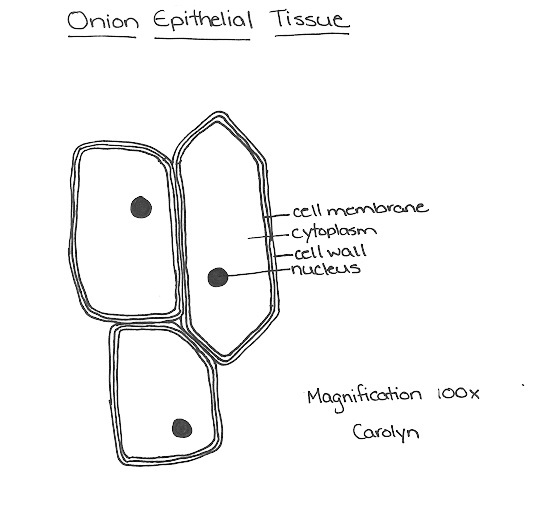 Each student is to complete a biological drawing of the tissues and label the cells observed. The following images will help you. 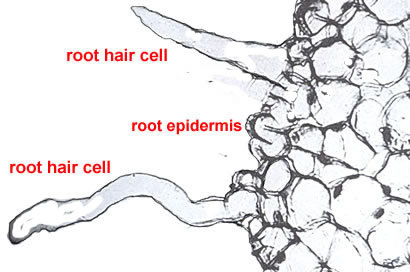 Root hair cells are single cells that project out from the root. What effect do they have on the surface area for absorption of water? Xylem tissue with spirals and rings of thickening in the cell walls. 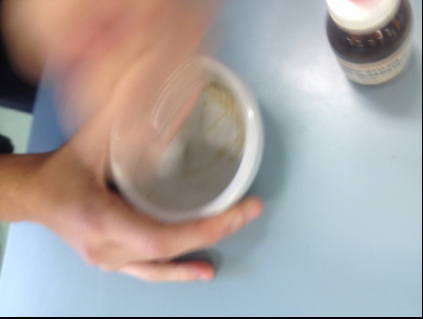 Task 4 Chemical tests to identify some of the products synthesised by plants. 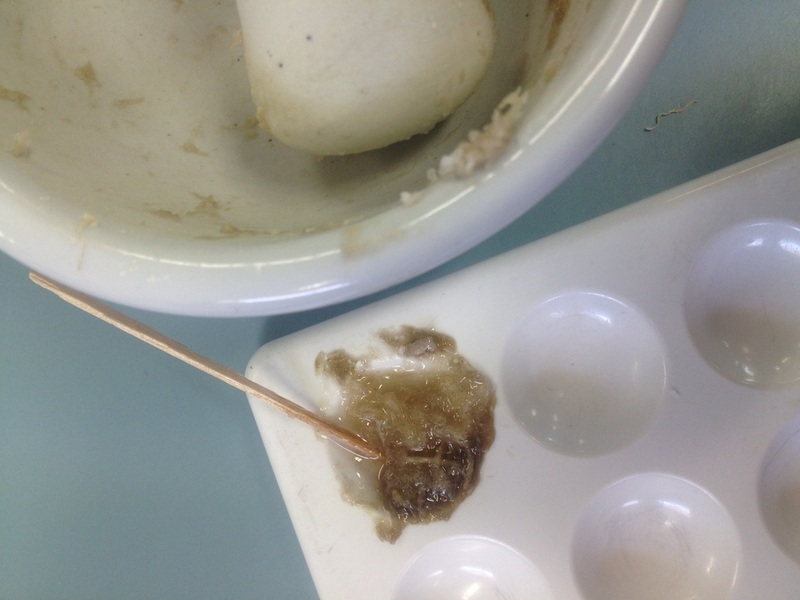 Roots test positive for starch. Carbohydrates (sugars and starch) and proteins can be detected by the use of an indicator, which is a chemical that produces a characteristic colour when a particular substance is present. 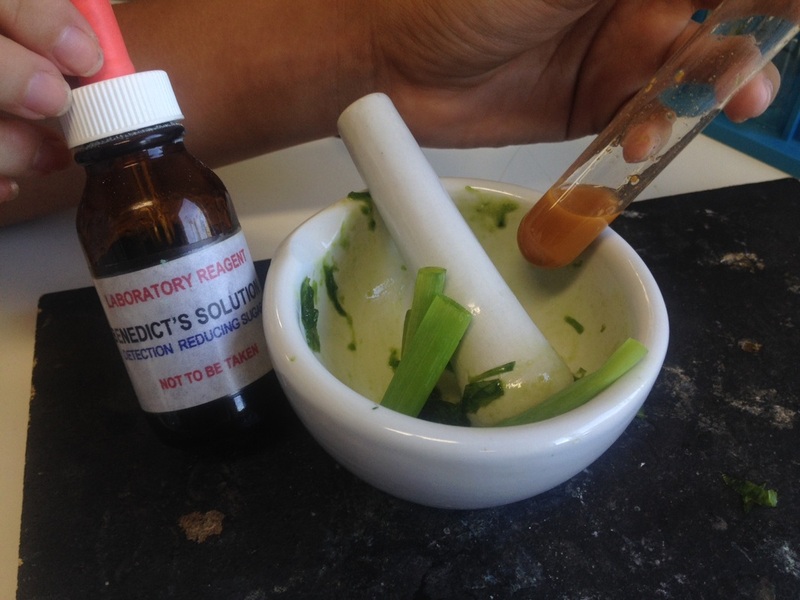 In this lab, you will test parts of the spring onion for various macro-nutrients, and compare your tests to standards, which are the results of tests that show a positive response for a known substance. SAFETY: Always wear safety goggles when working with chemicals.